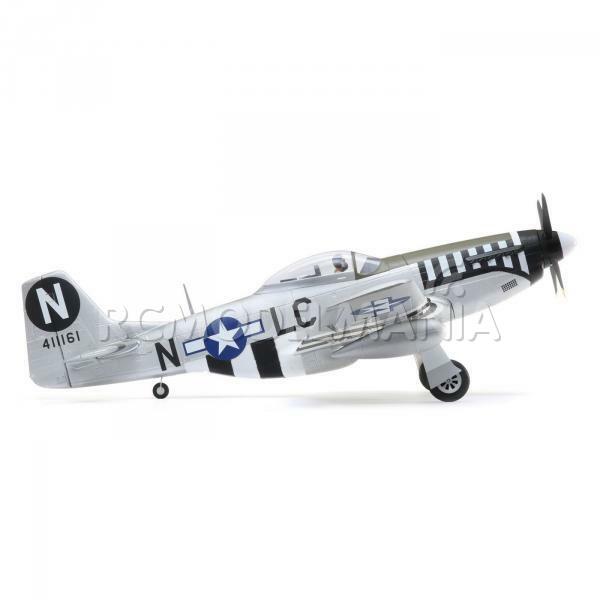 Out of the gate, the 1941 prototype of the P-51 was impressive. 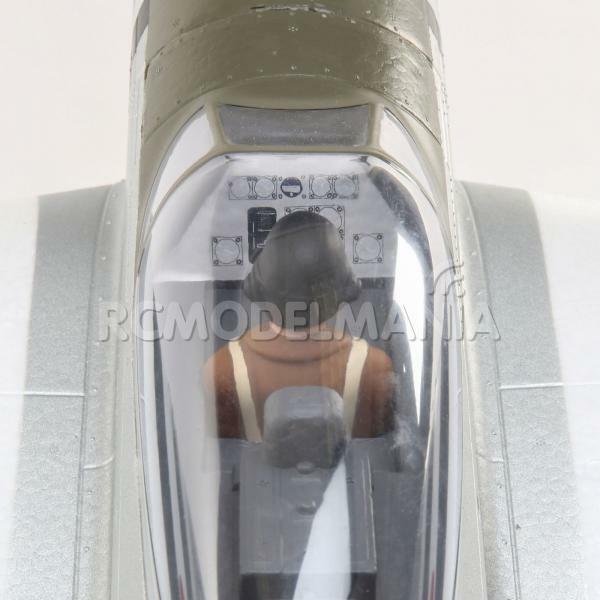 However, trials revealed that the super-sleek machine needed crucial changes to become a true thoroughbred. 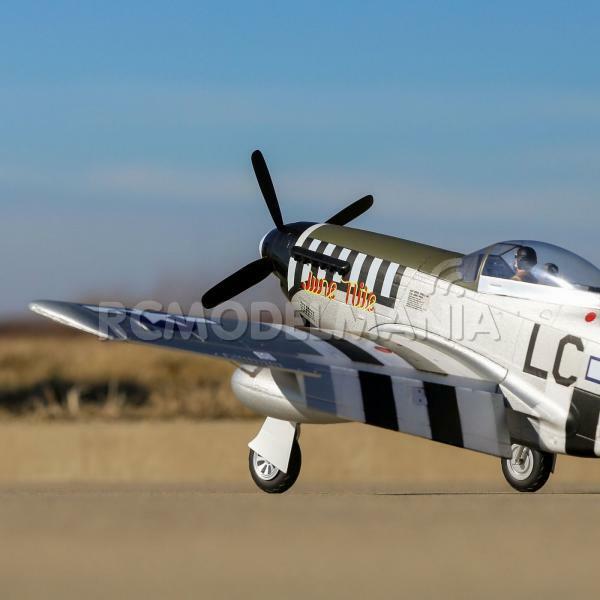 The magic formula was realized with the P-51D that delivered the performance, weapons and range well-trained pilots could wield to outmatch any challenger of the day. 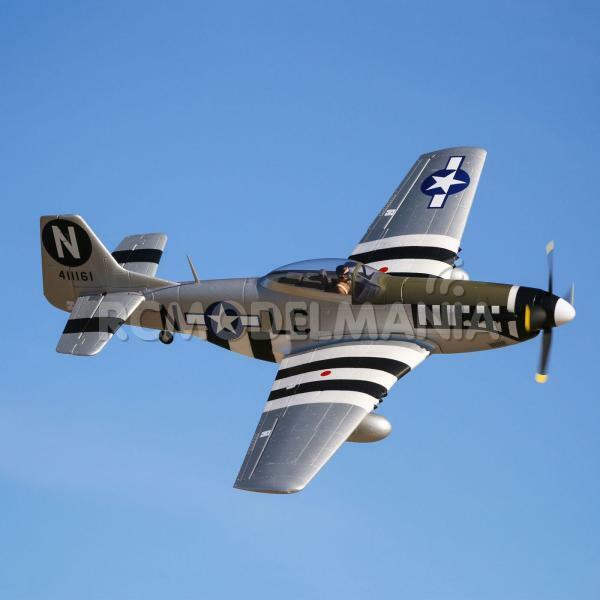 Even after WWII, thousands of Mustangs remained in service with proud nations around the globe—some till as late as 1980. 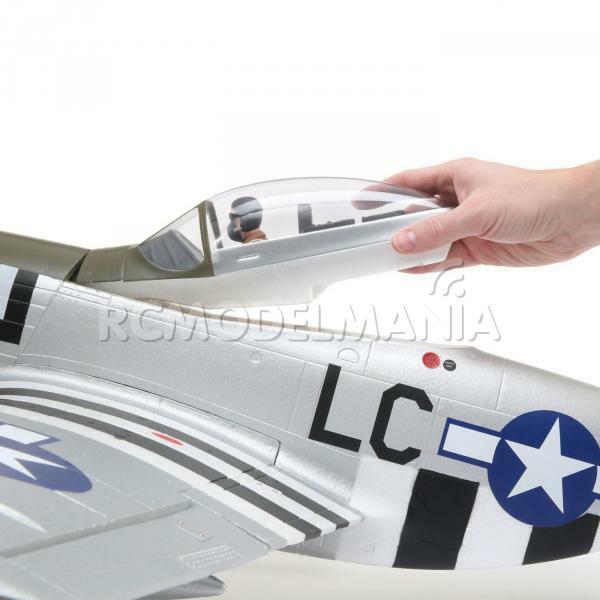 The E-flite® P-51D Mustang 1.2m replica captures a peak example of the legendary U.S. Army Air Core fighter that delivers the kind of scale-flight experience that makes enjoying history’s most celebrated fighter more enjoyable than ever. 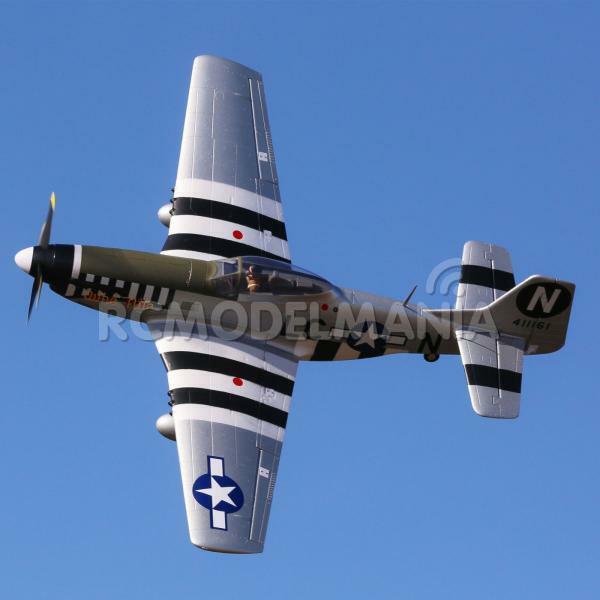 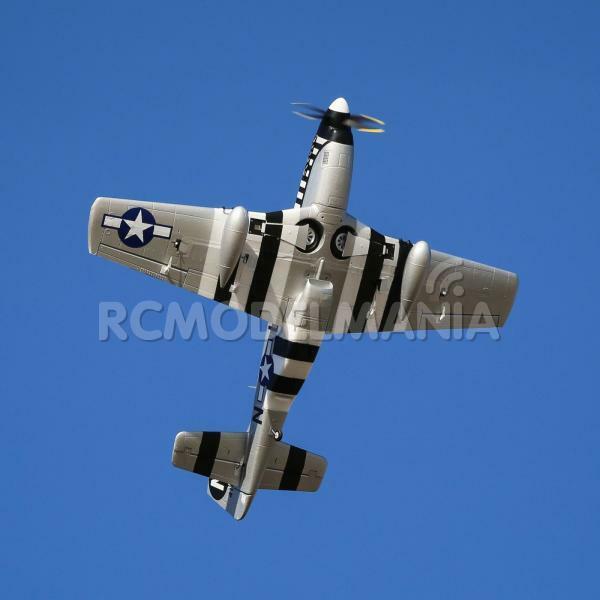 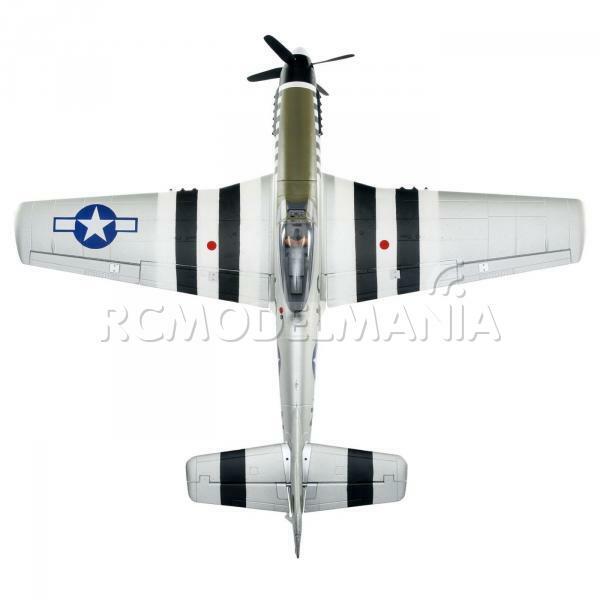 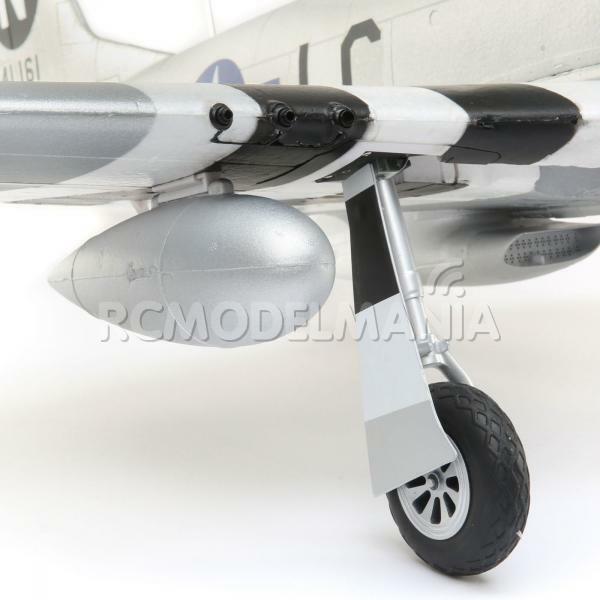 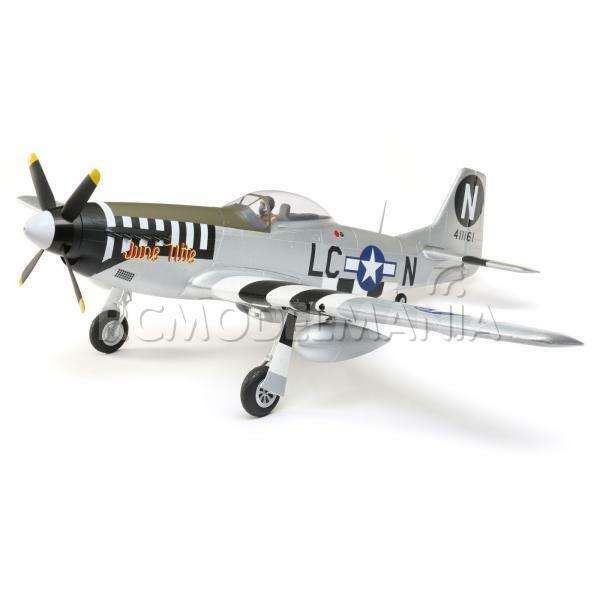 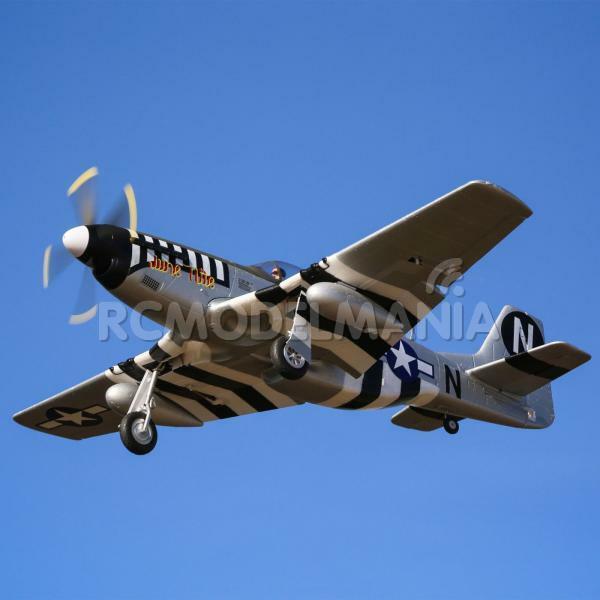 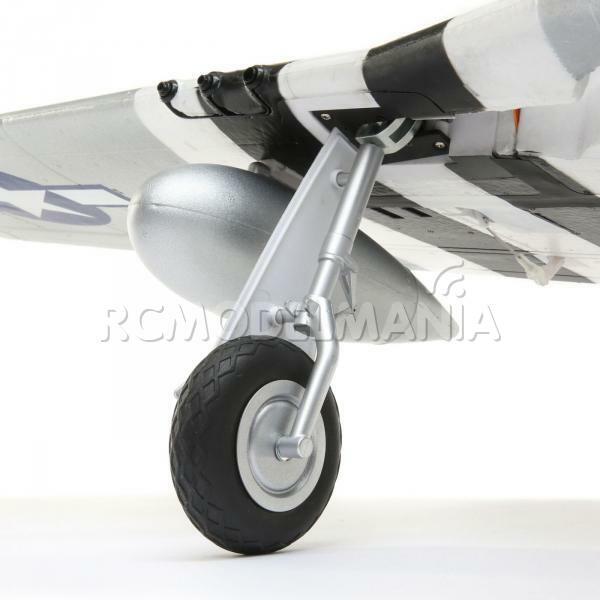 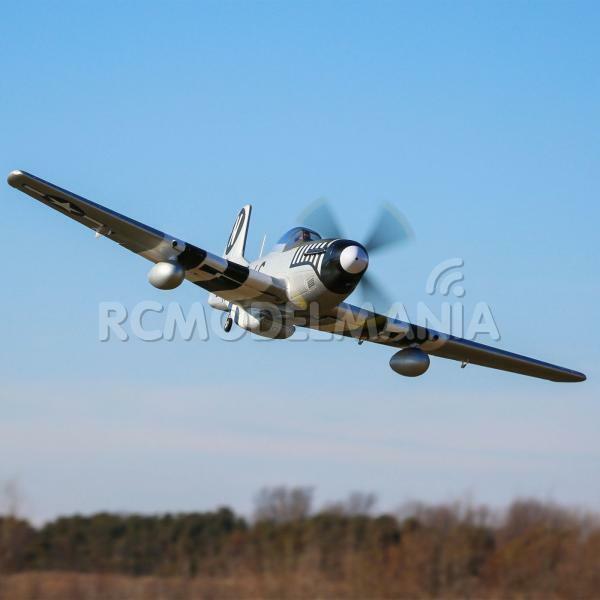 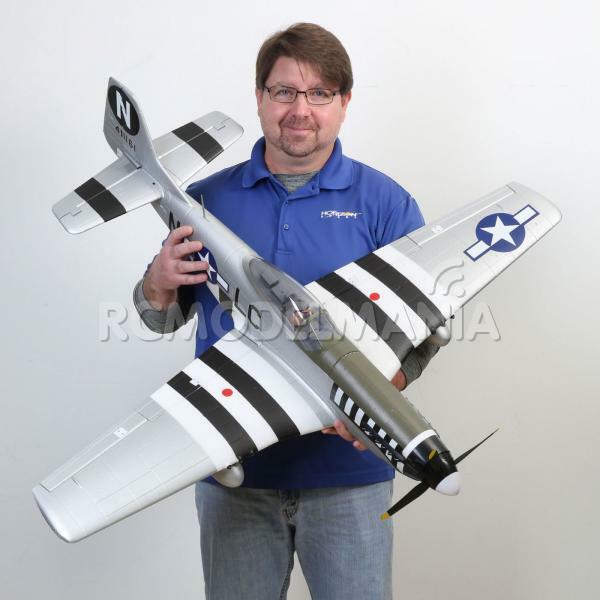 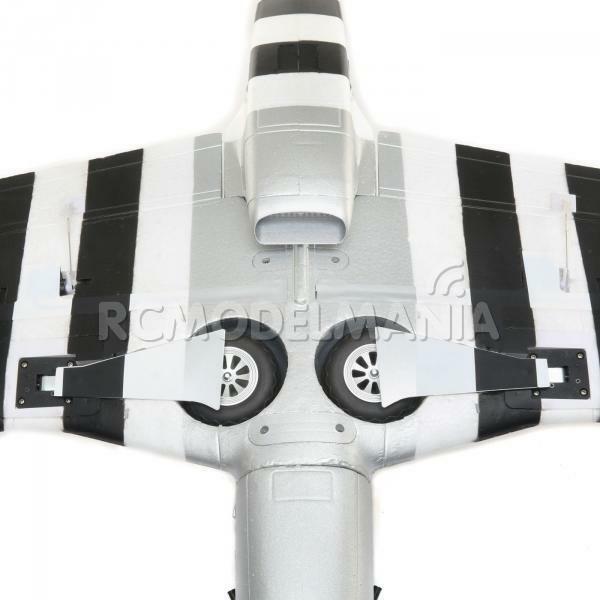 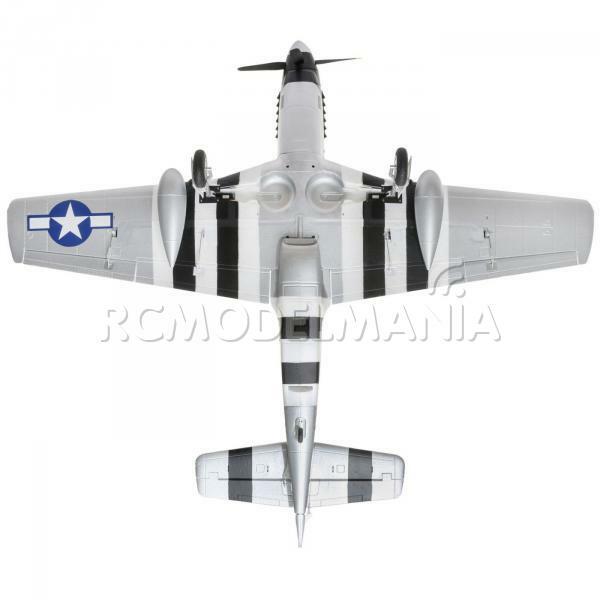 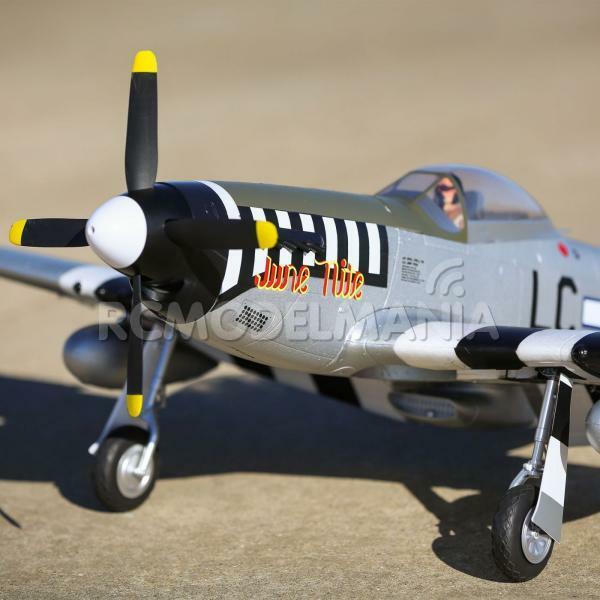 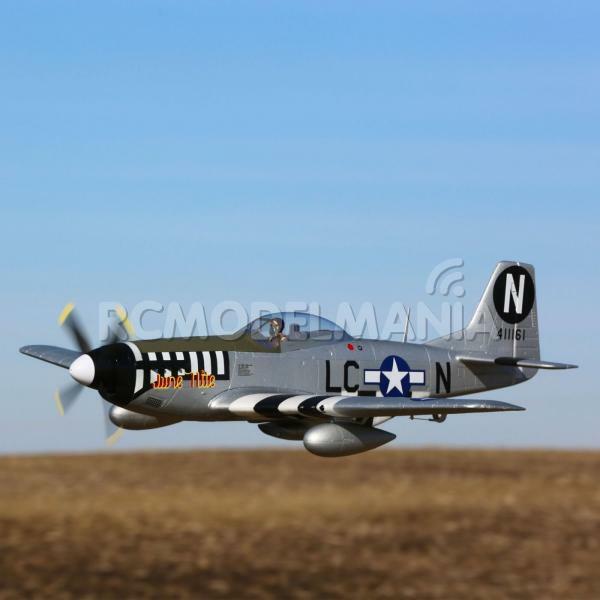 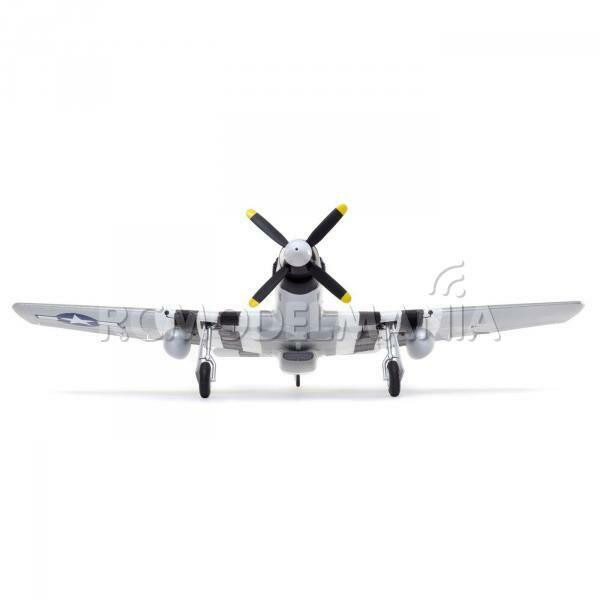 This P-51D Mustang model replicates a legendary U.S. Army Air Core fighter used with the 20th Fighter Group and flown by Capt. 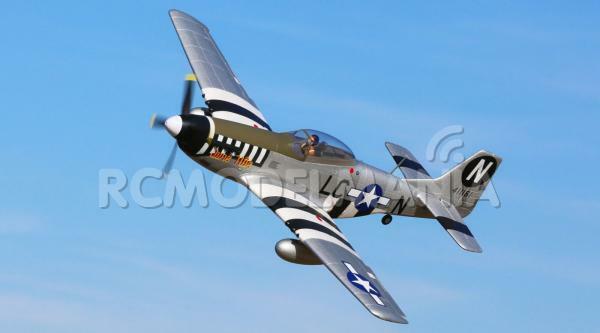 Ernest “Fieb” Fiebelkorn who became a top-scoring Ace during WWII.